We've been to Fort Lauderdale several times, mainly due to the abundance of inexpensive flights from Europe. We used JustFly to search and book our flights, which we recommend because they offer a comprehensive range of options allowing you to search for the lowest prices. We also recommend searching for options to Miami Airport, which is only a 45 minute drive away, to maximise your flight options. However and whenever you visit Fort Lauderdale, you're guaranteed to have a great time with warm weather: temperatures rarely dip below 25 degrees (77 Fahrenheit). Nearby to Wilton Manors is a small Bohemian road called “Eucalyptus Gardens”. It has a handful of open minded and very colourful cafes like “Voo La Voo“, as well really cool street art murals. If you're looking for a gay shop to stock up on your fetish gear, buy new swimwear and other accessories, check out Pride Factory. Georgie's Alibi/Monkey Bar: one of the largest gay bars in Wilton Manors, where you're bound to end up at at some stage. It has a large outdoor terrace for smokers with a small bar. Inside it has a large bar area where shows take, a separate dance area and an additional room for latino music and drag shows. Next door it also has a restaurant which serves up some pretty decent burgers. thePUB: we love the drag shows at thePUB. It's a smaller venue than Alibi but the female impersonators are hilarious. They usually have a drag or cabaret show on most nights of the week. They also serve food and have a daily 2-4-1 happy hour from 11am-9pm. Infinity Lounge: one of the more sophisticated bars in Wilton Manors with very stylish and chic interiors. It's more intimate than the other bars and better for a romantic date than a wild night out with friends. Tip your barman well in Wilton Manors and he'll take good care of you! Bubbles and Pearls: this is one of the best restaurants we ate at in Fort Lauderdale. It's owned and managed by lesbian couple Marcy and Josie (who is also head chef). Their oysters are absolutely delicious and their Key Lime Pie is one of the best we've tried in Florida. B&P is open daily from 5pm to 10pm (11pm on weekends). Rosie’s Bar and Grill: we love coming here for a burger dinner before heading out to party in the Wilton Manors gay bars. Each week they produce a new Bow-Wow (Burger of the Week) and have a weekday happy hour from 11am to 7pm. Rosie's is open everyday from 11am to 11pm (midnight on weekends). Hunters: the main gay club in town, which we ended up at almost every time we partied in Wilton Manors. There's always something happening here, whether it's karaoke night or “Fur Friday” Bear night. When we came here on a Saturday evening it was packed, but a lot of fun. The Manor Complex: a weekend only gay club in Wilton Manors, open from 11pm to 4am on Fridays and Saturdays. It's huge with 3 rooms of music spread over 2 levels, as well as a lavish VIP room. If the Andrew Christian models are doing a show in town, it's bound to take place here. Every evening is themed, so check their website for details of the next shows. Ramrod: Fort Lauderdale's famous leather, levi and uniform fetish bar with themed nights every day of the week. For example, Monday is “3 Dollar Night” and Friday is leather night. Check their website for the most up to date information about each event happening. Boardwalk: gay club which is famous for their margaritas, male dancers and $5 meals after midnight from their “Beefcake Grill”. They have a themed night every evening. Our favourite was Thursday's “Latin Night”. Check their Facebook page for the most up to date information. 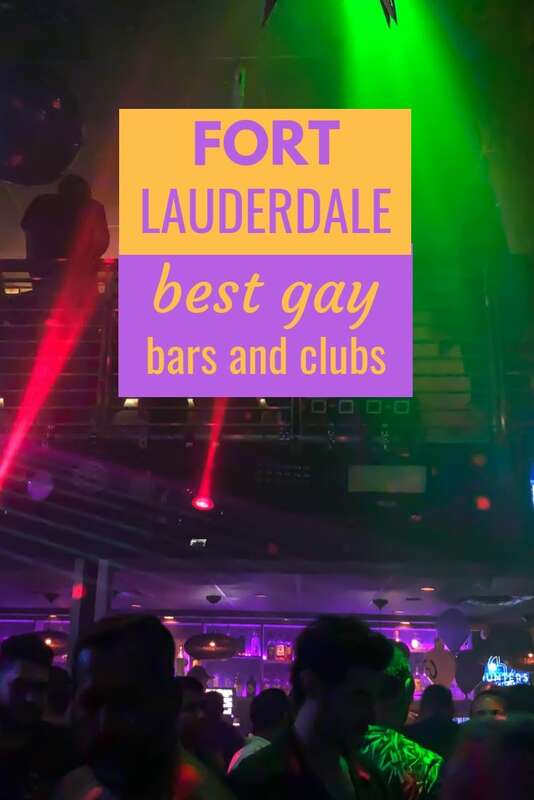 To read more, including the best gay beaches, events and gay hotels, check out our comprehensive gay guide to Fort Lauderdale. 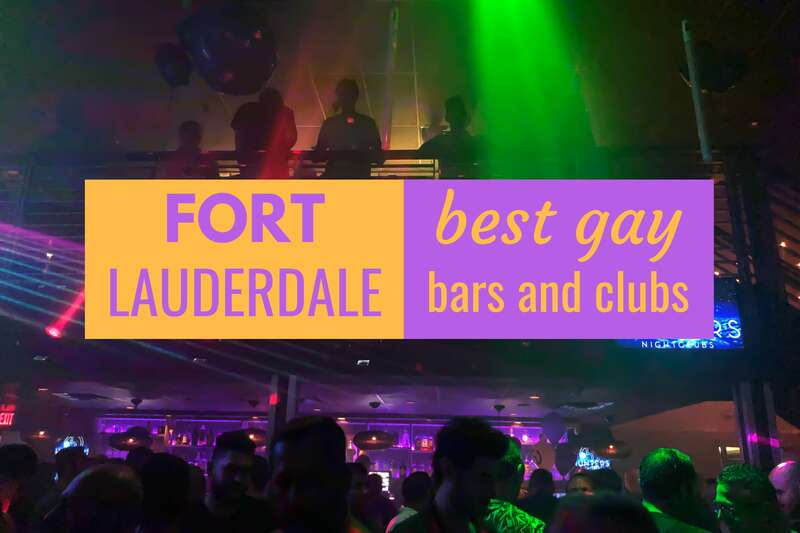 Tampa: gay guide to Tampa and best things to do in Tampa guide. Sarasota: gay guide to Sarasota and romantic things to do. Florida Keys: gay guide to Key West and best gay resorts in Key West. Lauderdale is my hometown & there’s tons to do here — the World Aids Museum is small but a great place run by great people. I also recommend checking out the Pride Center at Equality Park which is just down the road and always has lots of events going on – they’re actually the folks who organize Wicked Manors on Halloween (always amazing!). Once a month on the 1st Saturday they host a BIG community flea market with lots of vendors selling antiques, jewelry, clothing plants, and more. It’s a lot of fun and pulls in big crowds.